Really Recommended Posts- Halloween Edition 2012 | J.W. Wartick -"Always Have a Reason"
Halloween is this week. How are Christians to interact with this holiday? Some believe it is a purely evil celebration and caution other Christians against it; some believe it is harmless and enjoy participating. I have gone across the web and collected these links with discussions on the topic from various Christian perspectives. Halloween and the Fascination with Fear– Stephen McAndrew, author of Why It Doesn’t Matter What You Belive If It’s Not True, comments on how our fascination with things whose existence we generally dismiss points to something beyond our everyday reality. Sent into the Harvest: Halloween on Mission– Over at Desiring God, check out this post which points out Christians are sent to the world and comments on how that may relate to Halloween. The Tricky Topic of Halloween– (You’ll need to scroll down to the heading of the same title.) RTB scholar Ken Samples, author of 7 Truths that Changed the World, discusses Halloween. 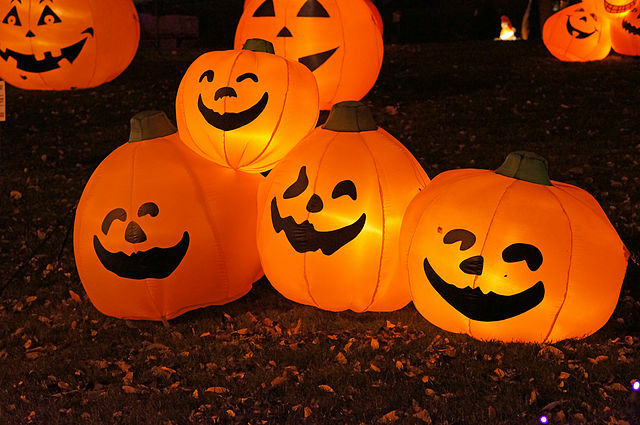 He shares some history of Halloween as well as suggestions to Christians about the holiday. A very useful discussion. Halloween- The Great Omission?– A phenomenal post on a mission-oriented view of Halloween. It’s also entertaining to read, so check it out! Hallelujah, Harvest, and Halloween Alternatives– Discussion about how Christians have utilized Halloween and made an alternate celebration or holiday. It has a few suggestions for how to incorporate these alternatives.